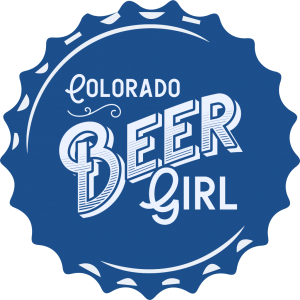 Lowry Beer Garden (7577 E. Academy Boulevard, Denver) officially opens tomorrow, May 23rd, but last night I had the pleasure of attending a “special preview opening,” and it was a great time. Upon first hearing about this place, my initial thought was, “Where the hell is Lowry?” Living downtown, I tend to frequent establishments that are more in the Central Denver area. 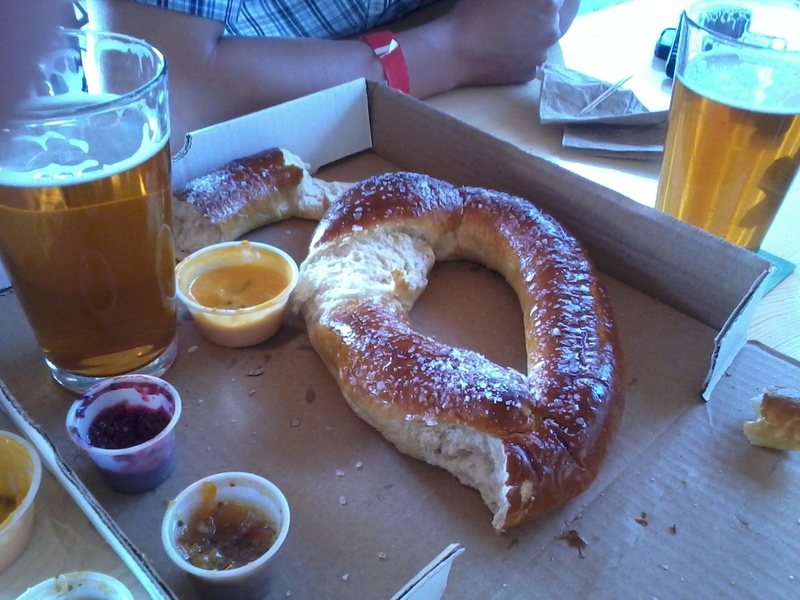 But I had to check out the “first beer garden” in Denver and, once I saw a picture of their giant pretzel, I was sold. Lowry Beer Garden has 16 craft beers on tap, on a rotating basis. I was thrilled to see Avery’s Maharaja and Odell’s Myrcenary, both of which are served in a full pint. At 10.3 and 9.3% ABV, respectively, those are not for the lightweight drinker. After a couple pints I decided it was probably in my best interest to soak up a little of that alcohol with one of their GIANT pretzels. Served in a pizza box, this thing serves numerous people. Four of us split it, and there was some leftover. I was too busy devouring it to bother taking a picture, until later after we did a significant amount of damage to it. It’s good stuff, and they have a bunch of tasty sauces to go with it. It came with a jalapeno cheese sauce, but they also have a condiment stand for your dipping pleasure. We tried all the mustards: blueberry, honey, and apricot. Lowry Beer Garden is extremely spacious, with enough picnic tables to seat over 300 people. Also, you get the choice of sitting in the sun or under a pavillion, which is very nice (and will be helpful on those rainy days). 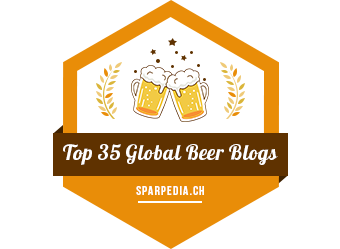 I think this place is going to do very well, and I look forward to keeping up with their ever-changing tap list. If you like drinking beer outside and eating giant pretzels (yes, they do offer other food too), go here. Previous Post Did You Get Wood on Friday Night?! 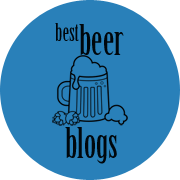 Next Post June: Take the State Beer Challenge!